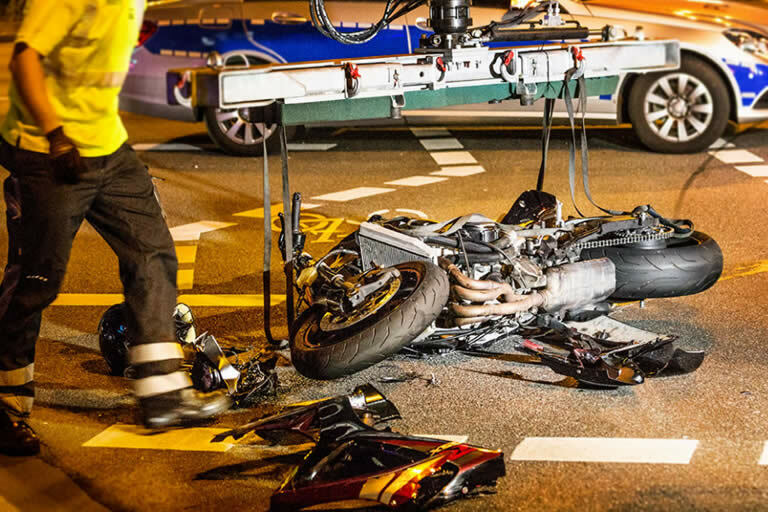 Is A Motorcycle Accident The Same As An Auto Accident? If the other party was responsible, you'll have the right to seek financial compensation for your injuries. The big difference in a motorcycle accident is the severity of injuries that you could sustain. Since you have little protection, your injuries can be quite severe when involved in an accident. This means longer recovery times and often a more difficult, serious financial strain. A settlement helps alleviate that financial burden. What Do I Do If I’m Involved In A Motorcycle Accident? First, seek medical assistance for your injuries and ensure that you are able to start making your physical recovery. Don't sign anything or admit to fault of any kind. You should have representation before discussing the accident with anyone other than your lawyer. Keep all medical records and bills, and keep track of all expenses related to the accident and notes detailing all days you miss from work because of the accident. Contact an attorney as soon as possible. These simple steps will help make it easier for you to get the compensation that you need. It's vital that you talk to an attorney as soon as possible to avoid being pushed around by the lawyers and insurance companies on the other side. The insurance companies often begin gathering evidence against you the day of the accident, building a case to avoid paying you anything. Waiting longer means that you will have more difficulty connecting your injuries to your accident. This means that getting the most that you deserve could be more difficult - but not impossible. You'll also have a harder time showing that the accident was the fault of the other person if you wait too long. Witness statements, mobile phone records, and security camera footage could all be more difficult to obtain due to a long period of time between the accident and your claim. Simply put, the sooner you file a claim, the better. What Damages Can I Receive? It's important that you don't just blindly accept a settlement offer because the other side is giving it to you. Insurance companies often try to use this tactic to reduce what they have to pay out. Our legal team connects with financial experts and medical professionals to review all of your costs, find out what the accident really cost you, and what you're really owed. Then we fight to make sure you get it. Our reputation alone stops the bullying that the other side may try. We get you respect, which means a faster resolution to your case and better potential outcome. We handle everything so you can heal. Instead of worrying about money and the process of getting what you're owed, you can focus on your physical recovery while we fight for you. The odds of getting a larger, fairer settlement are better with the professionals on your side. Our team understands your pain, and we're here to be your greatest ally as you heal. What Will You Need To Know After A Motorcycle Accident?